leather is everywhere right now. i find myself shying away from it due to my style choices. with a collared shirt, sweater and a fun top hat felt like the right way for me. how do you or would you style leather into your wardrobe? Leather leggings are fabulous, so easy and comfortable to wear, and I'm really drooling over the gold on your heels! 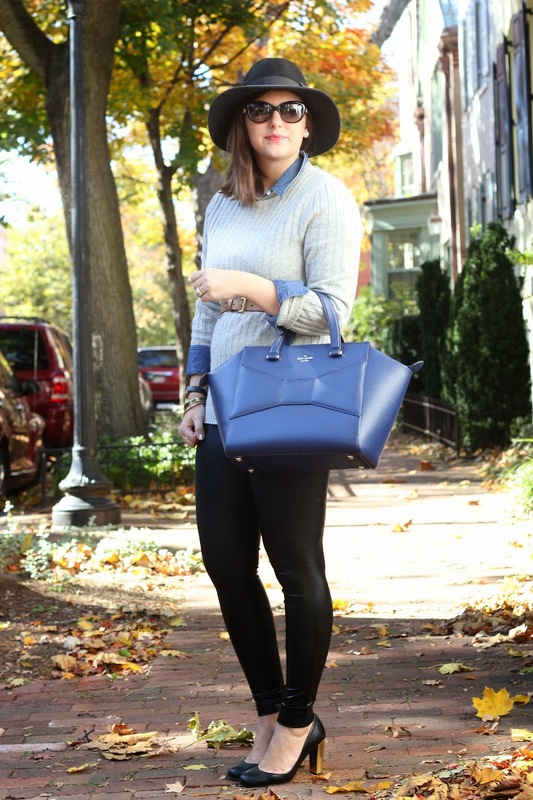 This looks adorable….loving the bow on your hat and bag! Love the leather leggings! They look great with the sweater. And that hat looks fab on you! I love the leather leggings! Then again, I'm all about anything leather these days too. It's such a perfect fall material. Hey girl! Those leggings are awesome! 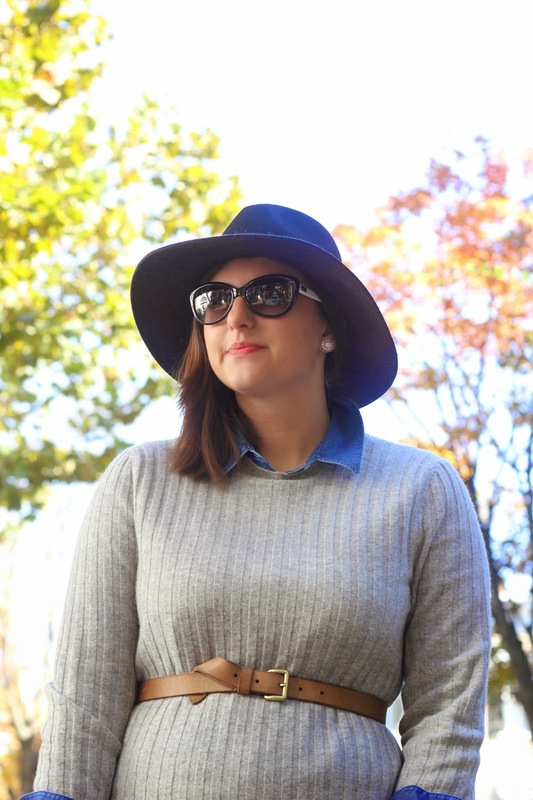 I love how you mixed them with a preppy sweater and chambray shirt! Great outfit girl!!! !